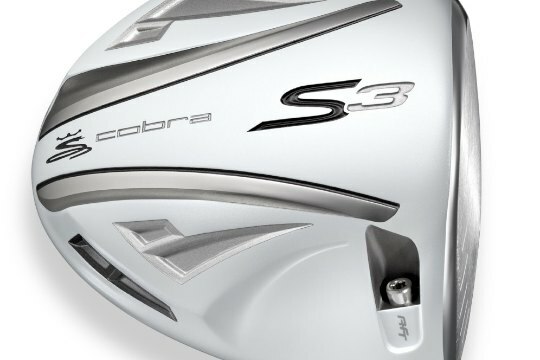 Cobra Golf announces the introduction of the Cobra White S3 Driver, loaded with E9 Face Technology and Adjustable Flight Technology, plus an upgraded premium Aldila RIP all-white shaft. Limited quantities of the White S3 Driver will be available globally starting early May – offering consumers a choice between a white S3 Driver or black S3 Driver. This exclusive product is ideal for the accomplished player who wants to play a technologically advanced driver with Tour-caliber performance. It offers golfers outstanding forgiveness, along with superior distance and accuracy. The White S3 Driver features the revolutionary, patent-pending E9 Face Technology that expands Cobra’s Sweet Zone by 30 percent, taking into account all areas where golfers hit the ball on the clubface, to make it the smartest clubface in the market. Cobra’s new E9 Face Technology – in both the white S3 Driver and black S3 Driver – makes the clubface more intelligent. Most clubfaces are designed with a circular sweet spot around the center of the face, the assumption being that the center of the club is where golfers hit the ball on every shot. Cobra tested golfers hitting 25,000-plus shots and discovered that golfers actually hit shots across the face in a canted, elliptical pattern that wasn’t always in the center. In fact, 99% of shots hit by golfers were in this elliptical pattern from the low heel to the high toe. So Cobra redesigned the clubface to take advantage of this phenomenon – resulting in Cobra’s new E9 Face Technology with a 30% larger Sweet Zone. The Cobra White S3 Driver also features Cobra’s popular Adjustable Flight Technology (AFT) offers three simple face-angle settings (Open, Neutral and Closed), which allows golfers to easily dial in their optimal ball flight for maximum distance and accuracy. A revolutionary shaft design with optimum flex and torque characteristics promoting incredible feel for maximum shot control, optimal spin and launch characteristics. The Cobra White S3 Driver (MSRP US$475) is available in lofts of 9.5° and 10.5° in men’s right-handed, and 9.5° in men’s left-handed, with an Aldila RIP Beta shaft – the 9.5° model comes in S flex only, the 10.5° in choice of S or R flex – with a white-colored Golf Pride Tour Wrap 2G grip. This special release also includes a unique white headcover, plus a white AFT torque wrench in a white pouch.